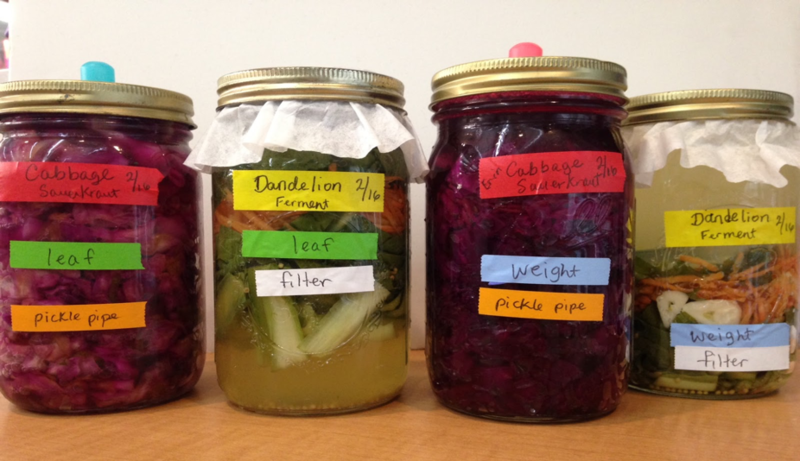 Humans have fermented foods, be they vegetables, grains or beverages, for thousands of years. 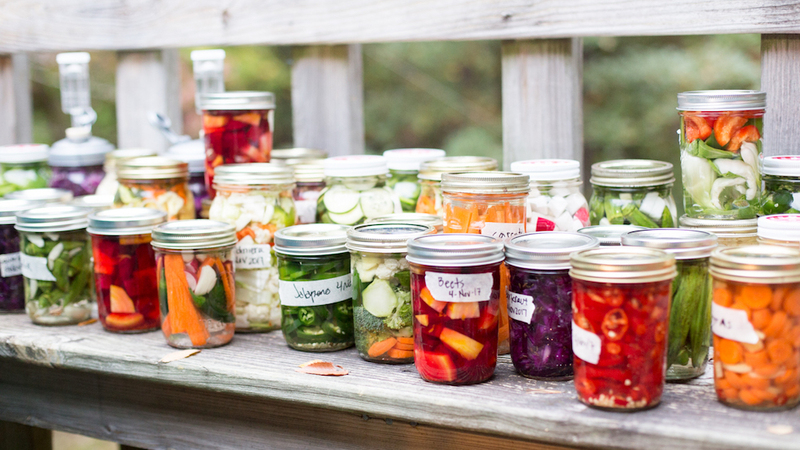 Fermentation has the power to preserve food while also altering its flavor and, in many cases, increasing its nutritional qualities. This power for change comes from microbes! Bacteria and sometimes fungi, such as yeast, tag along with the ingredients used in fermentation, whether they be seal meat, cabbage leaves or radish tubers. In brined (salty) fermentations, we now know that certain types of bacteria called Lactic acid bacteria (LAB) or Acetic acid bacteria (AAB) break down the more complex sugars in plants to make lactic acid or acetic acid, thus making the food more acidic (have a lower pH measurement around 2 to 4) and taste slightly sour. Acid-producing bacteria thrive in this high salinity, low oxygen environment and they are safe for us to consume and perhaps beneficial to our gut health. As these acid loving bacteria multiply and dominate the fermented food environment, they simultaneously add flavor to the fermentation and help, in concert with the action of the salt, to kill potentially harmful microbes. Yet, while we humans have been making salty fermented foods for thousands of years, much of the science of these foods remains mysterious. This project will host workshops where Citizen Scientists come to learn hands-on the process of fermenting foods from an experienced fermentation cook or brewer, while at the same time helping us to do real science (and pack jars that will ferment in the window of our lab). Participants will also learn from a researcher what is happening chemically and microbially in the jar (both what we know is happening and what we hypothesize about the unknown). As a Citizen Scientist, you can also develop your own hypotheses! For instance, will more of the gaseous byproduct (CO2) develop and show bubbles in the samples with grains, such as corn, or with leaves, such as those of cabbage? if the microbial communities are consistent among all nutritional parts of the plants. For example, do starchy fruits or grains have the same predominant bacteria as the fibrous leaves from the plants used in fermentation? This research is being conducted by Christina Roche, Dr. Julie Horvath and Dr. Erin McKenney in the Genomics & Microbiology Research Lab at the N.C. Museum of Natural Sciences Nature Research Center in collaboration Prof. Rob Dunn at North Carolina State University. Workshops will be held at The North Carolina Museum of Natural Sciences in downtown Raleigh. The first workshop is April 28, 2018 as part of the Museum’s Triangle SciTech Expo featuring food and drink. It is open to the public. 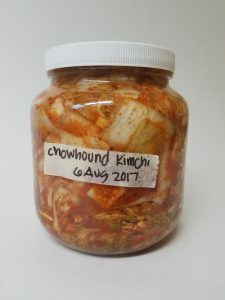 We will be making spicy kimchi to take home, and preparing separate cabbage and radish jars for the research study. Please visit the workshop website for more information and to register. This project is supported by an NSF MSP Students Discover grant #1319293 and an NSF instrument grant.